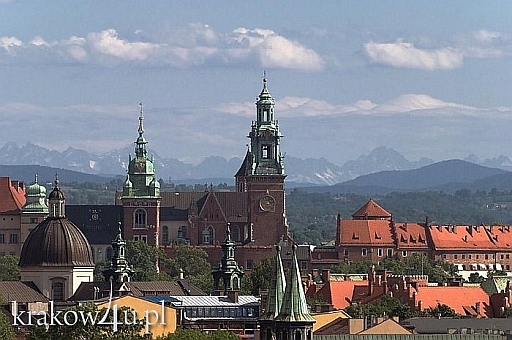 Krakow has many faces – the former capital of Poland, the city of Polish kings with its castle on Wawel Hill, the city of science with Jagiellonian University, which is one of the oldest in Europe and where Mikoaj Kopernik (Nicholas Copernicus) was studying. In the 19th century it had been the capital of Western Galicia, with an important railway junction connecting Warsaw, Lviv and Vienna. It has always been the art mecca ? just to mention the medieval Veit Stoss School with his magnificent masterpiece ? the altar in St. Mary’s Church, or the painters from XIX and XXth century: Jan Matejko, Julian Fałat, Jacek Malczewski, Stanisaw Wyspiański and more. 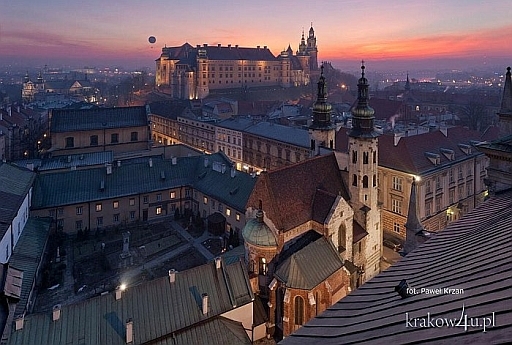 The artistic ambiance of Kraków is visible in the urban system, architecture sites, interiors of churches and palaces, and it has always been a source of inspiration for artistic creation. Another face of this town is a Jewish Krakow, a centuries-old tradition of creative coexistence of two cultures – Christian and Jewish. Despite the painful moments in history, this culture is still alive and builds a unique atmosphere of the city, especially in the Kazimierz district. It was formerly a separate town, but now it’s within the limits of the city centre. It is now bursting with lively cafes, galleries, small shops with antiques and crafts. It is also famous for Jewish Culture festival, which every year is inviting the international stars of klezmer, folk, jazz and many other kinds of music. We will try to show you some different aspects of this lovely place ? we will take a walk with our local guide in the Wawel Hill, which is the centre of Polish history and culture, with the Sigismund Bell, king’s tombs in the cathedral and of course the castle. We will walk in the narrow, romantic streets of the Old town. We will show you the courtyard of Jagiellonian University with it’s famous clock show and we will stop in the medieval Cloth Hall where traditional souvenirs can be bought. We will listen to St. Mary’s trumpet call (called ?hejnal?). According to a popular legend, during the Mongol invasion in Krakow a sentry on a tower of St. Mary’s Church sounded an alarm by playing the hejnał, and the city gates were closed before the Tatars could take the city by surprise. The trumpeter, however, was shot in the throat and did not complete the anthem. According to the legend, that is why now music ends abruptly before completion. 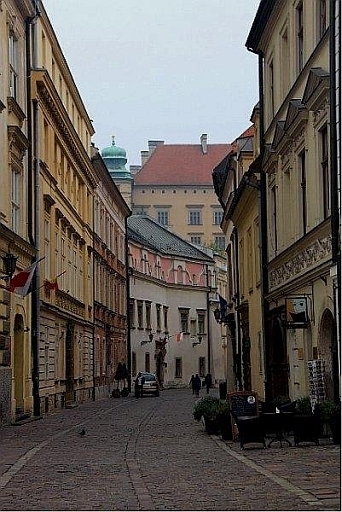 One of the streets of Old Krakow. Picture source: PolishOrigins resources. We would also like to show you some museums ? and there are a lot of them here. We?ve chosen two which are the most interesting in our opinion. The first one is the Main Market squares underground exhibition. The title is: ?Following the traces of European identity of Krakow?. It is a multimedia show, a journey in time. The museum is using modern techniques such as holography to present the reconstructions of buildings. There are also some models in three dimensions , which can be seen on one of the 37 touch screens and there is a vapor screen and dozens of different projectors. Visitors wander through underground glass ramps and footbridges, suspended over medieval archaeological remains, the oldest of which dates back to the eleventh century. Our second proposition for you is The Ethnographic Museum in Krakow. Located in Kazimierz area, in the ancient town hall. The museum was renovated a few years ago, combining the old, valuable collections of traditional culture relects with modern ethnographic and anthropological perspectives. It will be the best resume of our trip to Galicia and the world of our ancestor’s everyday life. The museum presents the houses interiors of different regions, Polish traditional costumes but also spiritual culture and traditional art. In this museum space we would be able to sum up the places, moments and experiences we have shared during this few days together. 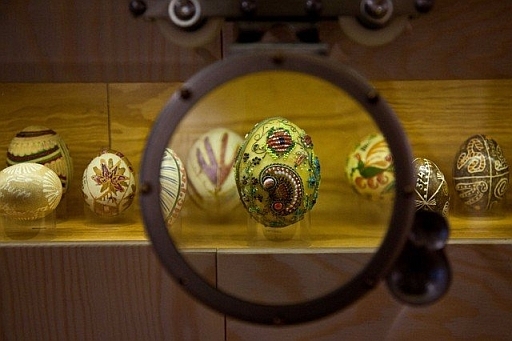 Easter eggs – Pisanki. Source: http://etnomuzeum.eu.